How to determine the most effective tool for delivering the audio Bible to illiterate and oral cultures. In western, first-world cultures, our smartphones are indispensable extensions of ourselves. Delivering audio Bibles via smartphones may be a convenient choice for your ministry. We want what’s best for you and your audience! 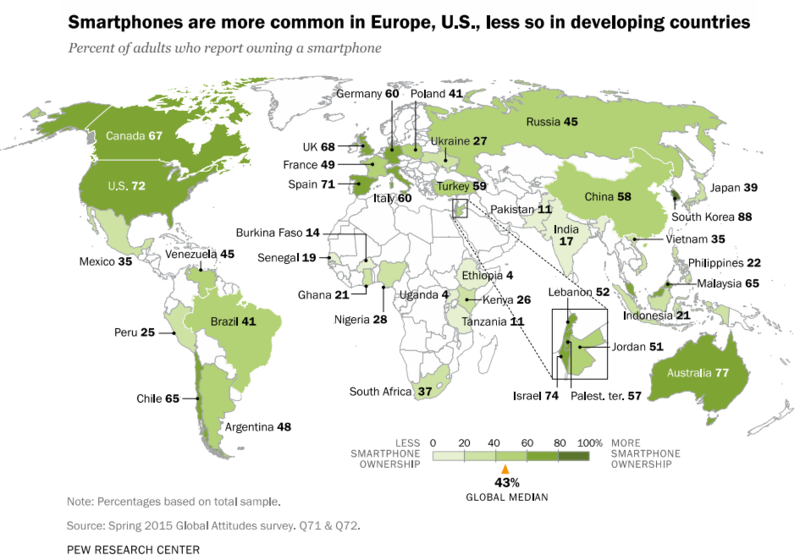 Smartphone ownership is common… but only in wealthy countries. In poorer countries, only a small percentage of the population can afford a smartphone. Places like India (17%), Uganda (4%), and Ethiopia (4%) report very low smartphone ownership. Within these numbers, there are also demographic gaps. These gaps create groups who are more (or less) likely to own a smartphone. Younger men, for example, are the most likely global demographic to own one. If your ministry is seeking to reach women or the elderly, smartphones may not be the best way to deliver audio Bibles to them (depending on where they are located). Security should always be a priority. Unlike SD cards, CDs, or cassettes, a MegaVoice device offers an increased level of security for both the recipient as well as the content. A smartphone can be a target for theft. The unique look of our devices can help mitigate this risk for the recipient. Unlike other types of technology, our devices can’t be erased and loaded with new content. This maintains the integrity of the scriptures. While many first-world countries don’t need to worry about access to electricity, many developing countries still don’t have reliable electricity (or any electricity). The solar panel on the back of our devices makes recharging easy. For visually challenged people and amputees, wrestling with chargers and chords can be frustrating. The solar panel helps eliminate this obstacle that keeps people from easily accessing scripture. Dust. Debris. Moisture. Fall damage. Extreme temperatures. Audio Bibles need to withstand a lot! Durability is the most obvious advantage of using MegaVoice devices. 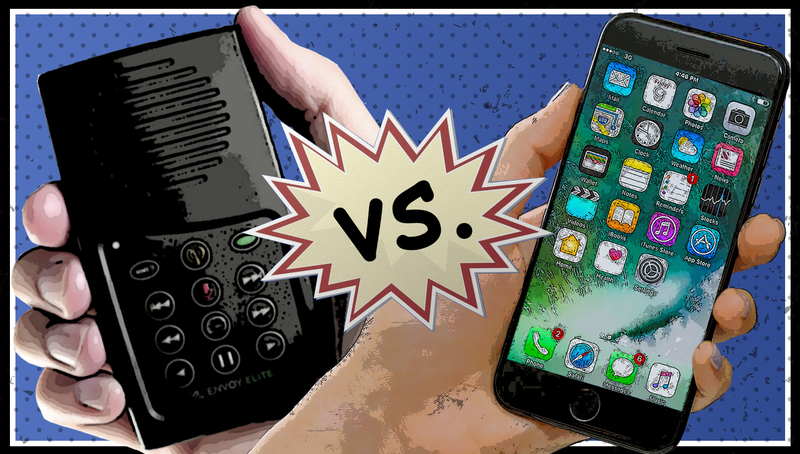 Because they are specifically designed to withstand less-than-careful treatment, a MegaVoice device will long outlive a smartphone. Ministry partners who work with visually challenged people report that audio Bible devices need to withstand being dropped many times. Likewise, our ministry partners working with leprosy survivors say the devices are often dropped. MegaVoice audio Bibles have shown they can take it! They’ve survived years after a smartphone has thrown in the towel. MegaVoice audio Bibles are constantly being evaluated and having features added that help you fulfill the Great Commission. It’s our highest calling and greatest passion. No matter what device you use to deliver God’s Word in audio, we consider you a teammate! You inspire us. And if you decide a MegaVoice device can help maximize your ministry, don’t hesitate to contact us. This device would be so handy on the remote Philippine island where I lead a medical mission. I’m sure it would be great in Pakistan and Mexico as well. They’re next for my mission strategy.